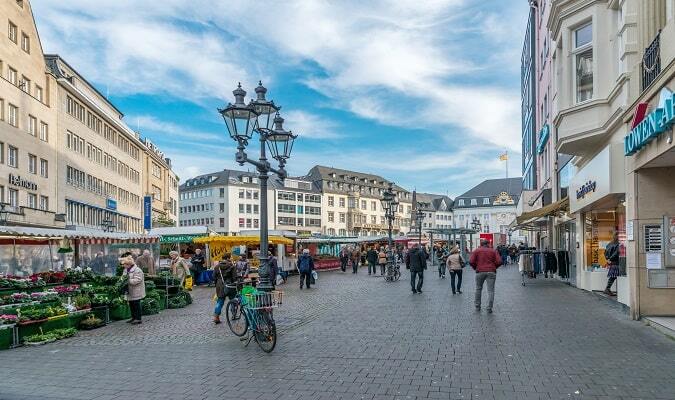 Bonn is a city in Germany situated on the Rhine in the state of North Rhine-Westphalia. It is famous for being the birthplace of Beethoven. Poppelsdorf Palace is located 2 km from Bonn Central Station. The foundation stone of the Baroque Poppelsdorf Palace was laid in 1715 over the remains of a castle that was destroyed in 1583. The Beethoven’s birthplace is located at Bonngasse, Bonn. Now it is a memorial site and museum since 1889. 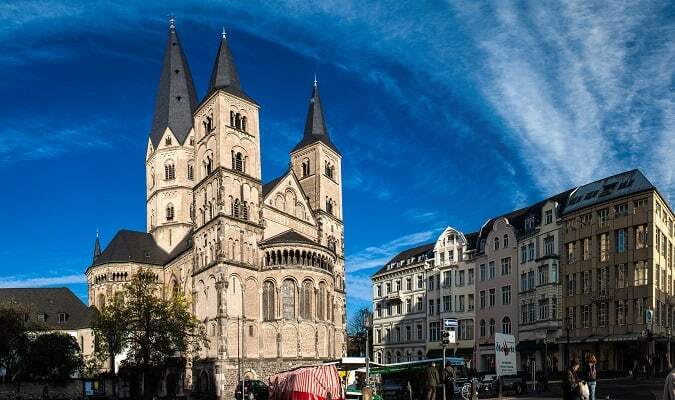 The Bonn Minster was built between the 11th and 13th centuries. Its interior has gothic and Romanesque elements, but with Baroque predominant décor. The Altstadt of Bonn was almost completely destroyed during World War II. The area has many options of stores, restaurants. 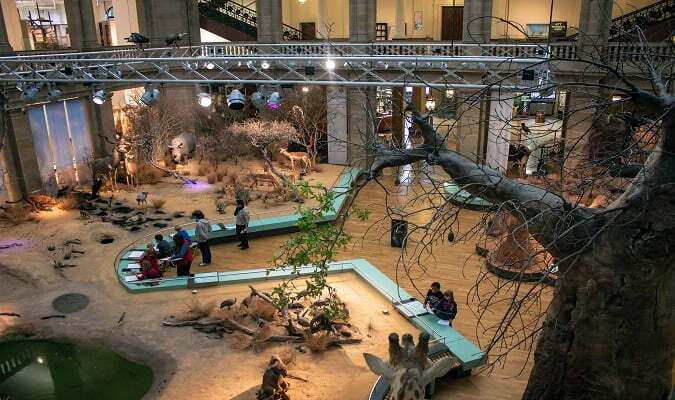 The Koenig Museum is a museum founded in 1934 and it is one of biggest natural museums in the world. The Bundeskunsthalle was founded in 1992 and has a variety of exhibitions dedicated to the arts, cultural history of all eras until nowadays, as well exhibitions dedicated to science, technology and environment. The Rheinaue is a popular leisure area in Bonn. It is located on the left bank of the Rhine river. The Godesburg Castle marks the Gothic Romanticism era in the Rhine. During the middle age, it was the residence of the Prince Elector of Cologne. Today it has a restaurant, which offers panoramic views. The Sterntor consists in the old wall of the city. It is located in the north area of Bollerplatz. 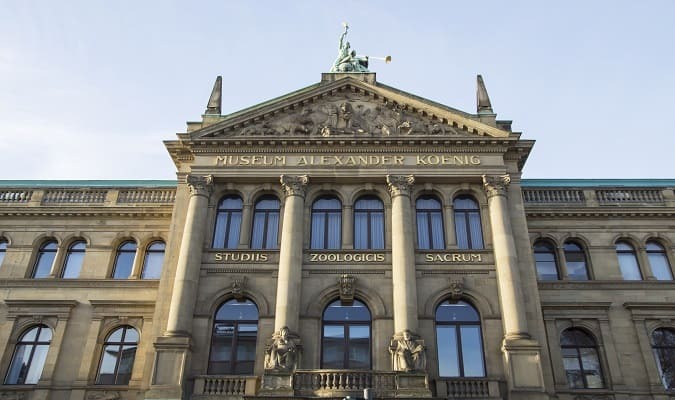 The Deutsches Museum shows about 100 works of art of contemporary science and technology. The Deutsches Museum is an offshoot of the world-famous Deutsches Museum in Munich. The Marriott Bonn is located close to the Rhine river. The hotel has 336 modern rooms equipped with a TV, safe, minibar. It has a swimming pool, sauna and a terrace. 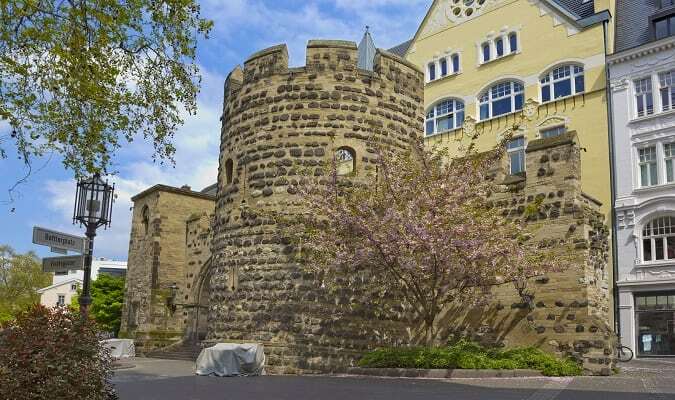 The Hilton Bonn is located in the heart of the city close to the main attractions. Rooms are equipped with a TV, minibar, safe and a coffee machine. The VHotel is located in a green area 3,8 km from the Central Station. 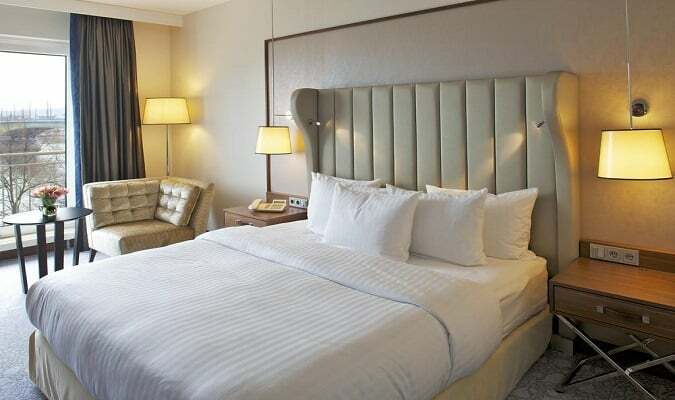 The hotel has four types of rooms “comfort SR”, “comfort PLUS”, “junior suite” and “suite. The pedestrian area of Friedrichstrasse is a chic shopping street that boasts numerous cafés, restaurants and shops. Bonn has easy train access from various cities in Germany. Famous cities nearby: Cologne, Düsseldorf, Koblenz, Königswinter.